Available in different colours and sizes, we can help you choose the right Colorbond downpipe offset for you home that matches your style and décor. Available in different colours and sizes, we can help you choose the right Colorbond downpipe offset for you home that matches your style and décor. 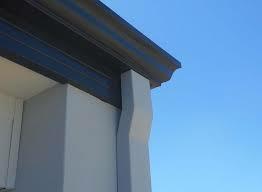 Durable and reliable, Colorbond is the best choice for Australian properties.